During the festive season we often struggle to find the perfect gift for that person in our lives that seems to just have everything. Books are the perfect gift, they just keep on giving. Unfortunately, we live in a society where access to books is challenging. In this day and age, there are still youths who are unable to read and for those who can just don’t have consistent access to reading material. Read to Rise is a literacy non-profit organisation promoting youth literacy in under-resourced communities. 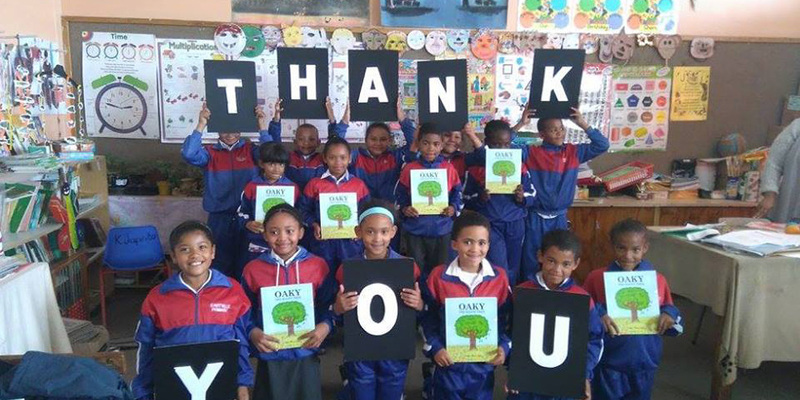 In 2016 alone they have given over 22 000 books to children in Mitchells Plain and Soweto and they hope to beat that number in 2017. To help them reach their goal you can buy “Pushing Boundaries” by Athol Williams as a gift, all proceeds are going to Read to Rise. For every one book bought six children will receive their own new storybook to take home. Shine Literacy is a non-profit organisation that seeks to improve literacy outcomes for young children from disadvantaged communities in South Africa. 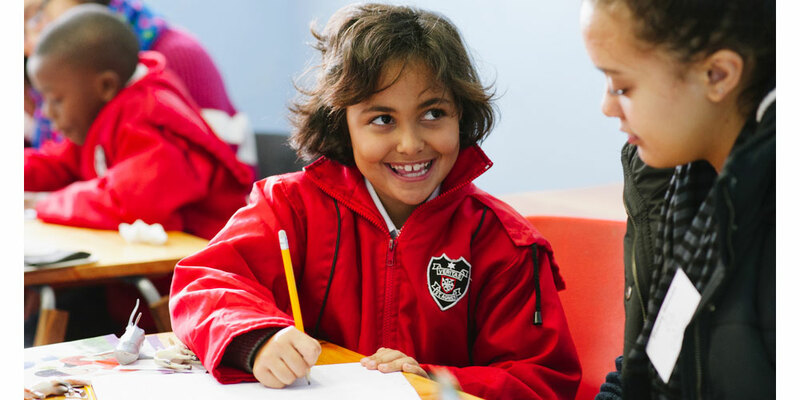 Their evidence-based programmes provide effective and sustained support to children as they learn to read and write, helping to foster a life-long love of books and learning. Their vision is a nation of readers. In 2016 alone they ran programmes in 46 schools in three provinces. Their workforce of over 850 volunteers provides literacy support to more than 2 500 children every week. You can help support Shine this festive season by volunteering, you get to read with one child paired with you and only need to spare one hour per week, donating via debit order, or you can buy a Shine Relate Bracelet as a gift. 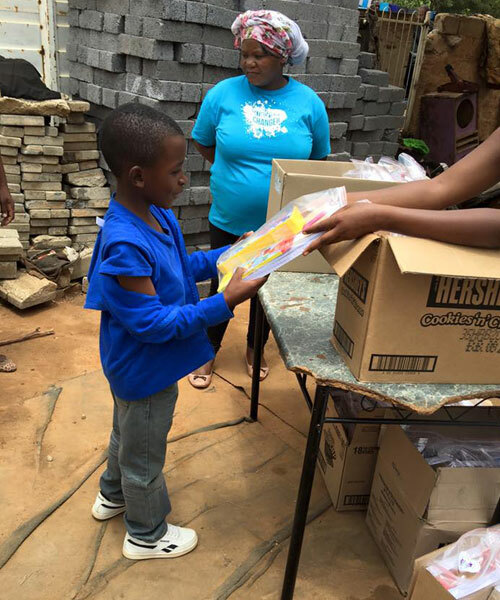 The Johannesburg Dream Centre supplies parents in the Cosmo City RDP area with presents for their children to give to their children as Christmas presents from themselves. “We feel that it is more important for a child to get a present from their parents than from “Santa” or a bunch of strangers and so we take no recognition for the presents to the children,” says Alicia Swanepoel of Dream Centre. All they ask is that each box be marked according to gender and age group, boy/girl; baby/child/teen. Each box should be filled with one toy and sweets to the total value of R80. Sponsors can also donate money straight into their account if they would like to bless a family but don’t have the time to go shopping. On 10 December the Johannesburg Dream Centre will be blessing families with groceries for the holiday period to make sure that there will be no hungry tummies during the festive season. 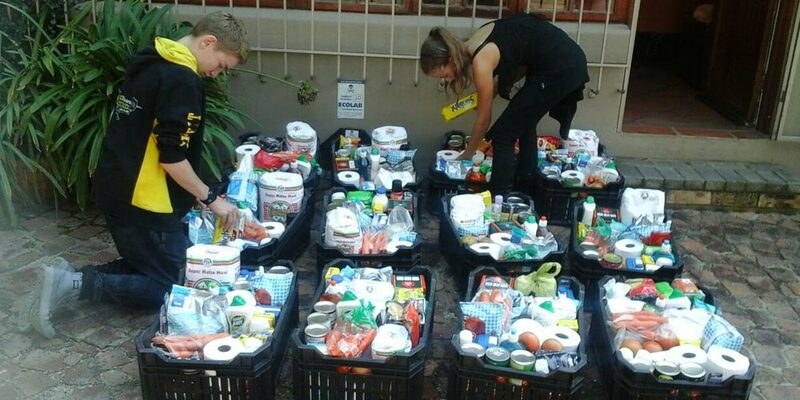 “We often come across empty pantries when we deliver such grocery packs and have even witnessed children immediately starting to eat Avocado’s that were donated, something most adults don’t eat let alone small children.” Says Alicia Swanepoel of Dream Centre. Donations need to consist of non-perishable foods such as maize meal, rice, soups, pasta and canned goods as well as a few luxury Christmas items such as cookies, sweets, sugar, sauces. You can email the Dream Centre to find out your nearest drop off point. Each January the Dream Centre delivers stationery packs to the children in the Cosmo City RDP area. For most kids one of the highlights of going back to school is the excitement of new pens, pencils, colouring pencils, stationery boxes, but for many children back to school is simply accompanied by a few small pencils and pens left over from last year in a broken stationery box if any. 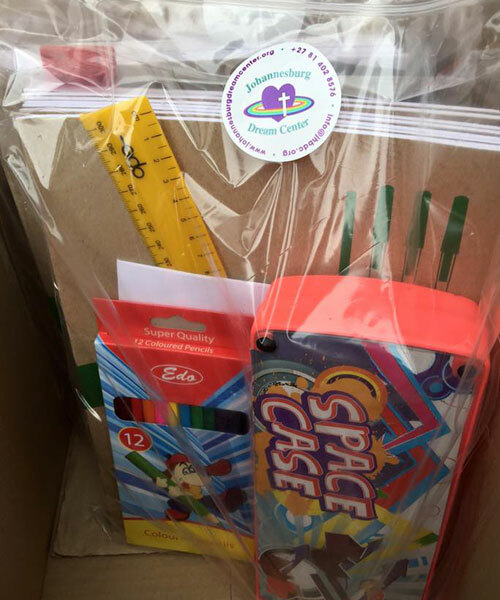 By equipping children with stationery packs you are giving them the tools needed to make their effort at school worthwhile. The best teachers cannot teach without students having the stationery needed to practice the lessons with. All they ask is for a donation of just R80 for primary school packs and R70 for high school packs as they buy in bulk. Loose items may also be donated to help bulk up the stationery packs. Girls Support Group has a membership of 25 girls and they meet every Wednesday in Alexandra. This is a safe environment where the girls get to be themselves without fear of judgement or rejection. Their ages range from 13years to 19 years, that is Grade 8 to Matric. We are coming to closing the year and we are planning to have a Christmas Lunch where the girls will cook and we will sit and share the meal together. 1kg Peanut Butter, 1kg Cremora Box, 750g Tea Bags, 2kg Rice, 5kg Mealie meal, dried pasta, Tinned Fish, Tinned beef, Porridge Oats, 750ml cooking oil, Cabbage heads, Beetroot, Carrots, Tomatoes, 1kg Soya Mince, 500g Dried beans, Chicken pieces. There are pockets of real poverty, where people are sick, disabled and dying without even the most basic help. Mothers cannot work because they have to care for intellectually impaired children on a 24-hour basis; terminally ill patients are too ill to feed and clean themselves; accident victims cannot walk and are stuck in their shacks alone. Rays of Hope Home Based Care will be providing 20 patients with food hampers in the first week of December. The Home-Based Care team visits people in their shacks on a weekly basis. They provide advice, comfort and spiritual support, food, clothing, bed linen and household equipment. They also repair and clean the shacks that the patients live in. These food hampers comprise of the following items: 25 L Bucket with Lid, 5 KG Mealie Meal, 2 KG rice, Tinned fish, Fruit and Vegetables, Soya mince, Custard, Biscuits, Tea, Milk and Sugar. 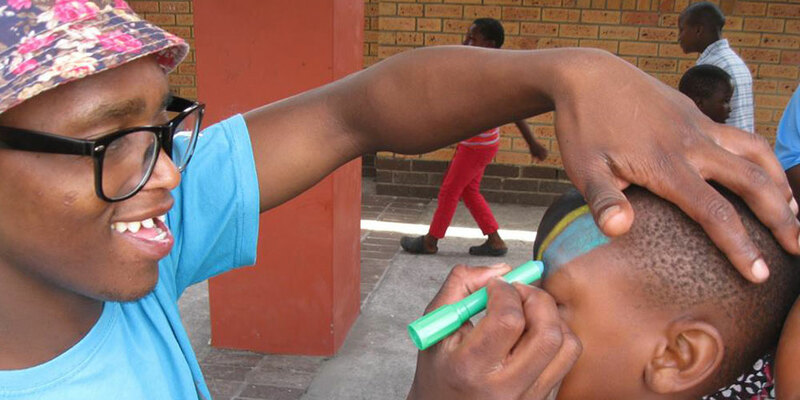 Trinity is a non-profit community school that has been serving the needs of families in Mitchell’s Plain since 2012. They are still under-resourced but you can help by donating the following: Pre-school learning flash cards, 50 – 100 piece puzzles, sandpit toys, wooden or plastic building blocks, dress up clothes and play dough. Beautiful Gates is doing an end of year Christmas Beneficiary for their children and teens. This special day will be filled with fun activities, a festive lunch, and each child will receive a gift at the end. There will also be a Christmas carols and mini-performances, and an award ceremony for children who are part of the after school program/ Learner Education Support who have shown improvement in their school work, and kids who attended well as well as activity participation. There’s an art exhibition as well on the same day where we showcase the children’s work to the community. You can support the Beautiful Gates community by contributing towards their Christmas Beneficiary. This article was first published by Crush Online on 12 December 2016.